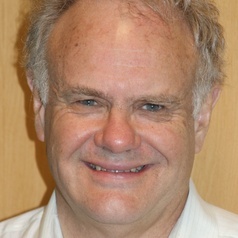 Professor David Dunt MBBS PhD FFPH is Founding Director of the Centre for Health Policy, Programs and Economics, Melbourne School of Population Health, The University of Melbourne. He is a public health specialist and medically-trained epidemiologist with major interests in health services research, health program evaluation and the health social sciences. This background informs his disciplinary area of health services research and the evaluation of health programs. His main work has involved the evaluation of complex, multidimensional government initiatives and related programs, aimed at increasing health service coordination and integration. He established the Centre for Health Policy, Programs and Economics (CHPPE) – currently 17 FTE academic and professional staff. Over most of the period 1991-2007, the group has formed/been part of the largest grouping of health service researchers and health economists in Australia. The CHPPE and its precursor groupings have had a major research and teaching presence which have had substantial knowledge translation impacts on governments, professional bodies and the community. He has recently completed two invited Ministerial reviews for the Australian Government - A review of mental health services in the Australian Defence Forces through transition to discharge and An independent study of suicide in the Ex-Service Community.